The 24-hour walkout shut down public services, forced the cancellation of flights and disrupted public transportation across the country. Ferries sat moored in ports, hospitals were operating with reduced staff, and museums and archaeological sites were closed. 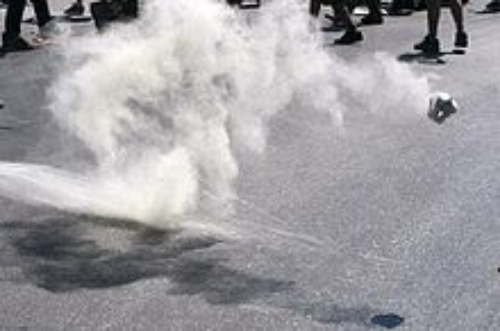 An estimated 20,000 people joined three demonstrations in Athens, one organized by the country’s two main labor unions, another by the Communist Party and the third drawing students and leftists, according to a police spokesman. The protests are not a surprise to me. I have long warned about the likelihood in Greece. Expect to see more protests and civil unrest in Greece. Hungarian Prime Minister Viktor Orban — who ordered an anti-migrant fence to be built on his nation’s borders with Serbia and Croatia — called migration a “lose-lose” phenomenon. Tensions were also high Thursday in the Balkans, as Slovenia continued to erect a razor-wire fence on its border with Croatia to hold back the migrant influx. The two countries have a long-standing territorial dispute dating back to the wars in Yugoslavia in the 1990s, and Croatia believes the border fence is encroaching on its soil. Their leaders are to meet later Thursday to try to calm the row. Hungary says it has approved two of the nearly 4,900 asylum requests it has received from refugees since it closed its border with Serbia with a razor-wire fence on Sept. 15. Janos Lazar, Prime Minister Viktor Orban’s chief of staff, says as of Sunday, 3,592 of 4,848 requests for international protection were still pending, 326 had been rejected and 928 terminated because the asylum-seekers had left the country before a ruling. Fences are going up, and Hungary has concluded that the VAST majority of migrantsARE NOT QUALIFIED as asylum seekers. Europe is not planning on turning back 99 plus percent of these migrants, and this will cause tensions within Europe. Expect to seecivil unrest elsewhere in Europe including Germany. The migrant situation is one of many factors that will lead to civil unrest in Europe. For more exclusive prophecy news reports, tune-in below. Newer PostObesity up-- a sign of the times? Older PostAl-Qaeda leader found on a migrant refugee boat: Will Western civilization be destroyed?